Two or three years ago there was a Creek War / War of 1812 symposium held at Auburn University. I watched some of it on-line. I was only able to catch a few of the talks due to a poor quality computer connection. There was talk about putting the conference on a dvd, and I was disappointed when I did not see it. But now I have something even better, with all the references. The book containing all the papers from the symposium, with the sources and references they used is much better. This book can be compared to a whole college study course about the Creek War. A dozen different papers on different aspects of the war, from the best professors and writers on the subject. I have books and papers by several of these people, and even know a few of them rather well. And for the bicentennial of the war, rethinking and reexamining the war is exactly what they do. Included are perspective of the Creek descendants themselves, with views from Ted Isham of the Muscogee Creek Nation, and Robert Thrower of the Poarch Creek Band. The 1813-1814 Creek War has always bothered me, and I always felt as if I was missing a few pieces of the puzzle. I have visited Fort Mims and Horseshoe Bend, and read a number of biographies on both William Weatherford and Andrew Jackson. I even worked at one of these War of 1812 sites for almost three years. But I have always been bothered by this war in Alabama that lasted only 7 or 8 months but killed and displaced thousands of people. Both the Red Sticks and the US Army & state militias had no problem with wiping out whole communities and killing the women and children. I really needed to understand beyond Fort Mims or Horseshoe Bend. And this is the book has helped me understand, by looking at several factors and influences that went into the 1813-1814 Creek War. Also by revisiting the original papers and accounts. The clash of cultures that preceded the war are examined. Tecumseh’s visit to Tuckabatchee, and if it really made a difference or not with the Red Sticks who were already working on the uprising. The view of the settlers of the early 19th century, who wanted the land and believed that the only way to solve conflicts with the Indians was to either totally remove them, or wipe them out. My personal favorite chapter was "'A Packet from Canada': Telling Conspiracy Stories on the 1813 Creek Frontier" by Robert P. Collins. It examines the months prior to the war of the rumor of a supposed letter of support the Red Sticks had from the British. Was there really a letter? What happened when the Red Sticks tried to get arms in Spanish Pensacola, and what really happened at Burnt Corn Creek and how many warriors were actually there? The American Army was poorly trained and supplied, and it is a wonder that they accomplished anything. Supply lines were scarce, desertions were high, and the only way they kept it together was by the dominating will of Jackson. There was no communication between forces, but they managed to destroy 60 Creek towns in Alabama. Towards the end of the book is an examination of the archaeology of Creek War sites. Why they are so hard to find, with little remaining artifacts, and why they are so difficult to tell apart between Creek and settler sites. 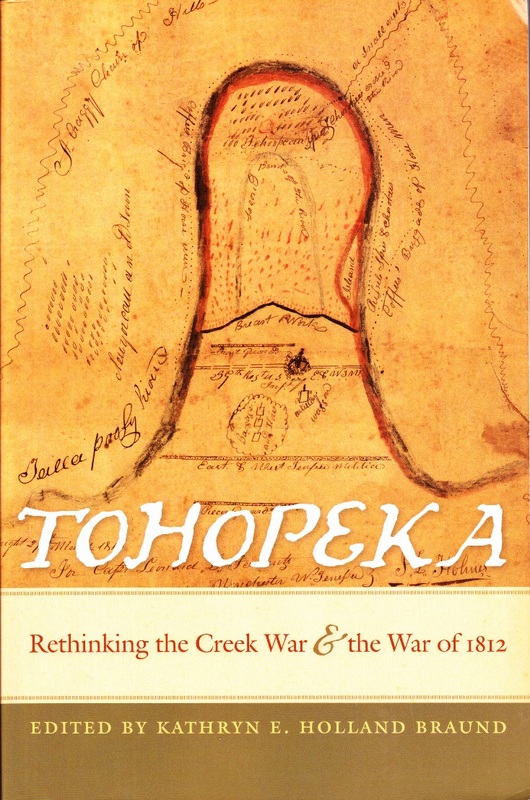 The appendix of the book has a list of all the related Creek War sites, including Creek villages, forts, settlements, temporary camps, and burned houses. Only a handful of these sites are preserved today. A few more have been surveyed but remain closed to the public and in private hands. But the majority of these sites remained lost in time and still hidden in the ground. This book is a welcome addition to my library of books on the Creek War. (And I have many.) I am not sure if I will need any new ones after this.